The battle wages forward to recognize other lifeforms in society as the debate over speciesism continues. Libby Albright a prominent canine golden retriever spoke through his telepathy communicator and voiced displeasure about the slow process of congress in passing the law to stop discrimination on the basis of species. Currently the law states only humans can vote but canines across America hope to change this. 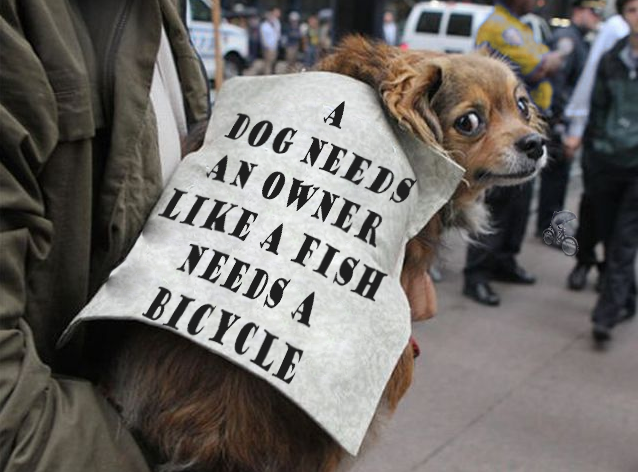 Libby stated that the laws discriminate on species and added "a dog needs an owner like a fish needs a bicycle." Many canines have joined the movement to fight for their rights. Last year was a big year for canines when two things changed. The first one was a scientific breakthrough in telepathy. For a long time people believed animals were intelligent beings but this invention has allowed them to communicate and verify their sentient status. The second was when a New York Court ruled that it was illegal to detain 2 chimps in a zoo. The judge suggested that these chimps had the right Hebeas Corpus. This result shifted the paradigm as it determined other species had rights in court. Barack Obama the incumbent Secretary General of the Cooperating Nations (CN) replaced Jan Li Sun in early 2036, said that it should be illegal to discriminate on lifeforms based on their chosen species. The CN is the new intergovernmental organization that was formed to reflect the new world realities. It was recognized that most nations weren't united any more and it was best to have a name that better reflected the organization. Obama said that people should be able to choose whatever species they want to be and you should not discriminate over your biological species. Obama stated "I sometimes feel a little frisky in the morning and that doesn’t mean I should lose my rights because I like a good ole kibble for breakfast." Libby said he woke up, had his usual cheese and slow aged lamb bits breakfast and got a holo from 74 year-old Obama. Libby was pleased that the issue is now being taken seriously and told Barack that we cannot continue to discriminate on species and that we need to have a quick and just resolution to the issue. Obama is expected to meet with 10 prominent canines representing 10 countries including Libby at the end of June for a conference. Last week, there was also a rally for dogs across America, which was held in Central Park, New York. At the rally we spoke to protester, Brian Makerman, who was with his canine stated “this is the single biggest issue facing us today - we cannot determine rights based on a species.” Some notable chimps also joined the rally but requested that their comments remain off the record. The laws across the world do not seem to be changing just yet. All 294 cooperating Nation countries still only recognize humans as having special rights; Denmark is expected to vote in the next week to recognize canine rights. The World Health Organization stated that it is monitoring what the rights should be for other species. The first recognition rights for other species was in 1266 in Fontenay-Aux-Roses, France when a pig was executed for capital punishment for eating a child. Libby added “isn’t it amazing that 800 years ago, we allowed a pig to stand trial but today in 2036, we do not allow the same pig to vote?...When will speciesism die." Libby muttered.